Elaine Sutin Teicher, 95, of Urbana, Illinois died peacefully at 1:18 p.m. on Tuesday, January 29, 2019 at Carle Foundation Hospital in Urbana from complications of dementia. She had been a resident of Clark Lindsey Village in Urbana since 2015. She lived in Bergen County, New Jersey from 1962 until she moved to Urbana. Services will be held in New Jersey at a later date. She was born in Cleveland, Ohio on May 15, 1923, the daughter of Joseph and Henrietta (Tishkoff) Sutin, Russian immigrants. After graduating from Cleveland Heights High School she attended Western Reserve University, receiving her Bachelor of Science degree in 1945. She then moved to New York City to pursue graduate work at the Juilliard School of Music, receiving her Master’s degree in 1947. In 1948 she married Louis Teicher, part of the piano duo Ferrante and Teicher. Their marriage ended in divorce. Elaine was a concert violinist and chamber musician. In the 1960s she founded The Sutton Ensemble, a chamber music group that performed at numerous venues in the New York City metropolitan area, including Carnegie Hall. Elaine’s long and extensive career in music included performing for many years with the New York Pops orchestra. She also worked as a freelance recording and performing artist. She continued to perform into her 90s. 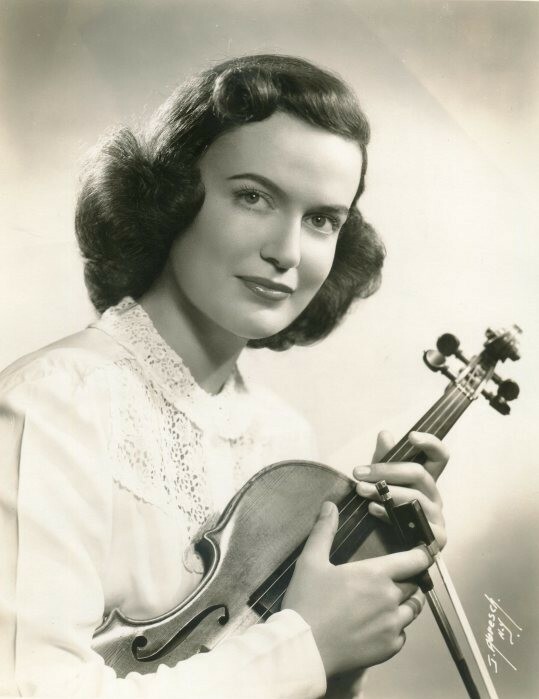 Elaine also taught violin privately for many years and her students included those who went on to have professional careers in music. Her other interests included fine arts, French language studies, travel and antiques. Elaine is survived by her children: Susan Teicher and her husband Todd Harrison of Urbana, IL, and David Teicher and his wife Susan Goodman Teicher of Westport, CT; her grandchildren: Julian, Pamela, Zachary and Ari; and her nieces and nephew: Deborah Fitts, Tamara Sutin and Randall Sutin. She was preceded in death by her son Richard Teicher and her brother Lawrence Sutin. Memorial contributions may be made to Arc of the United States, 1825 K Street, NW, Suite 1200, Washington, DC 20006.